International auctioneers Coys will be putting 20 classic and sports cars under the hammer at a new high-octane auction at Historic Motorsport International show on Saturday 25th February in London’s ExCeL. Historic Motorsport International is held alongside the London Classic Car Show, a must attend event in the classic car calendar, and is devoted to all aspects of historic racing and rallying. 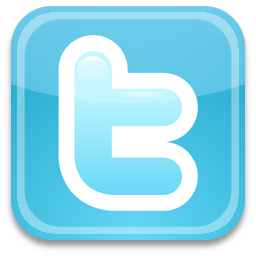 It gathers under one roof virtually everyone involved in historic motorsport, including drivers, owners, collectors, dealers, preparers, engineers, promoters, venues, enthusiasts, the media, historic racing and rallying organisers, and more. Coys grid for Saturday 25th February features a selection of 20 competition cars and other sporting types, including a 1988 Ferrari F1 355 Spider (£65,000 – £80,000), a 1962 Fiat Abarth 1500S Evocation Historic Race Car (£15,000 – £18,000), a 1987 Mercedes Benz 560 SEC Koenig (£28,000 – £35,000), one of only 16 1989 BMW E30 M3 Roberto Ravaglia Edition (£45,000 – £55,000) and two “fire spitting” 2009 Chevrolet Holden “Supercar” V8s (£25,000 – £29,000 each). 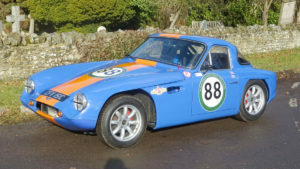 1965 Lotus Elan S1 26R: An original Series 1 Lotus Elan roadster converted to 26R specification for historic racing with new FIA Historic Technical Passport for GTS 10 valid until 2025. The car was originally built by Simon Hadfield before being exported to Sweden. Whilst there, it won the Nordics pre 1966 historic championship three times with two different drivers and was substantially rebuilt by well-known Lotus specialist Bennets AB with parts from Tony Thompson Racing. This is a competitive car and potential class winner in the right hands (£68,000 – £75,000). 1965 TVR Grantura Mk III 1800cc: a competitive car and potential class winner in the right hands. Finished in Gulf livery and with new FIA Historic Technical Passport for GTS 11 valid until 2026. Correct 1840cc MGB race engine with a Peter Burgess MSX crossflow alloy head and twin 45DCOEs, close ratio 3 synchro gearbox, currently on 15 inch Minilites with Dunlop L section tyres. On the button and ready to go for the 2017 historic racing season (£48,000 – £58,000). 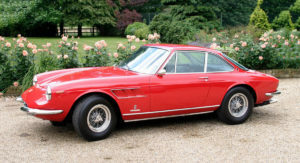 1968 Ferrari 330 GTC, Coachwork by Pininfarina: one of Ferrari’s very best GT road cars of the last century. Finished in the classic Ferrari livery of Rosso Corsa with a Nero leather interior and showing just 28,287 miles recorded from new (£550,000 – £600,000). 2007 Ford Mustang GT: This 573bhp supercharged Ford Mustang GT has been successfully competed for four years collecting several class wins in circuit, sprint and hill climb events. The thrilling on-track performance of this Mustang has garnered fame and attracted the attentions of a number of sponsors keen to showcase their products and services as well as magazine cover shoots, regular columns, TV appearances and large social media followers (£25,000-£35,000). 1938 Ford Tudor Stockcar: this original warhorse was prepared especially for Neil “Soapy” Castles, a famous American racer of the 50s and 60s, to demonstrate at NASCAR events. It’s a high specification ‘Sportsman’ class racer, formerly from the now defunct Rod Long NASCAR Museum. It was much admired at the 2009 Goodwood Festival of Speed and the 2013 Press Day, and most recently took part in the 2016 Goodwood Revival performing faultless demonstration laps (No reserve). Other cars going under the hammer include a 1995 Porsche 993 Turbo (£95,000 – £115,000), a 1966 Jaguar E-Type Series 1 4.2 Coupe (£90,000 – £120,000), a 1972 Aston Martin DBS (£90,000- £110,000), a 1959 Mercedes-Benz 190SL (£120,000- £150,000) and a 2005 Ariel Atom (£30,000 – £40,000).